“On Nov. 30, the University of Ottawa issued an email notifying students about racist and homophobic (Ed. Is everything Homophobic nowadays?) posters distributed on campus. 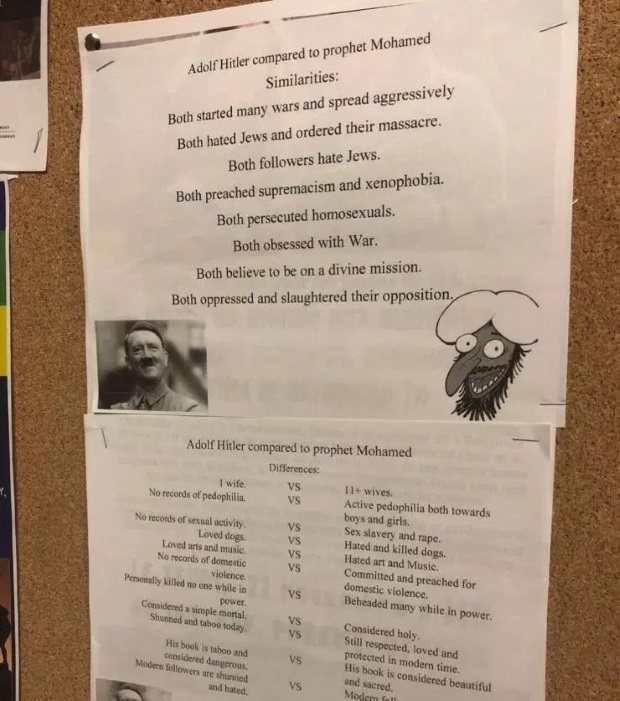 The posters feature an image of Adolf Hitler and the Islamic prophet Muhammad, listing the two figures based on their alleged similarities and differences. Don’t know what the fuss is about, there’s little to choose between the two frankly, although that liking dogs thing is a plus for Hitler in the Mr. Congeniality department.